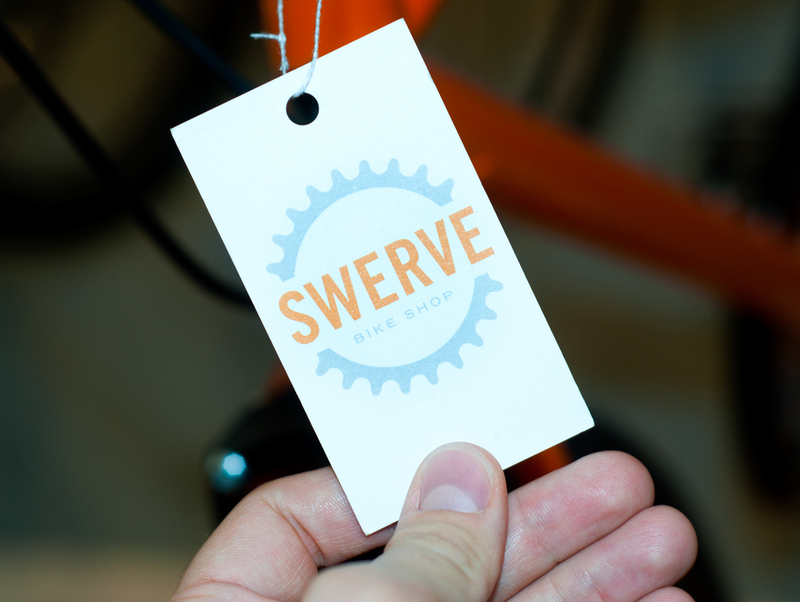 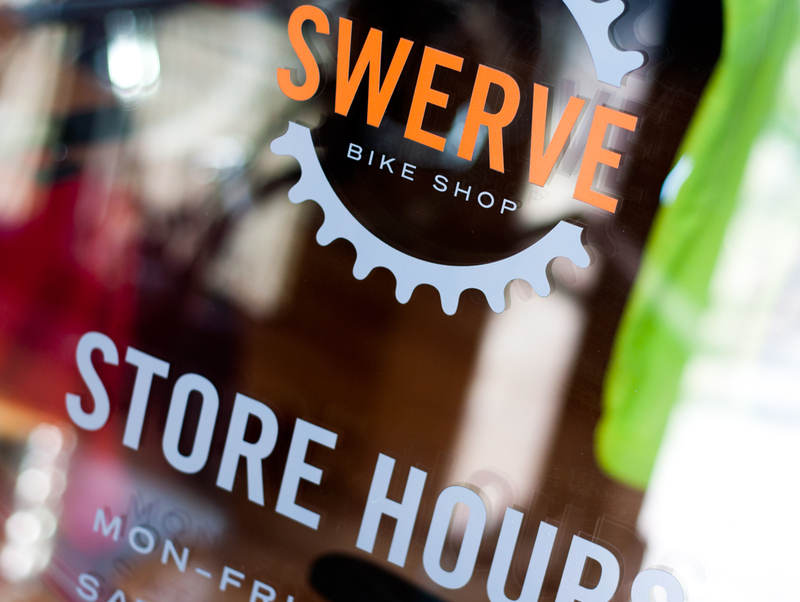 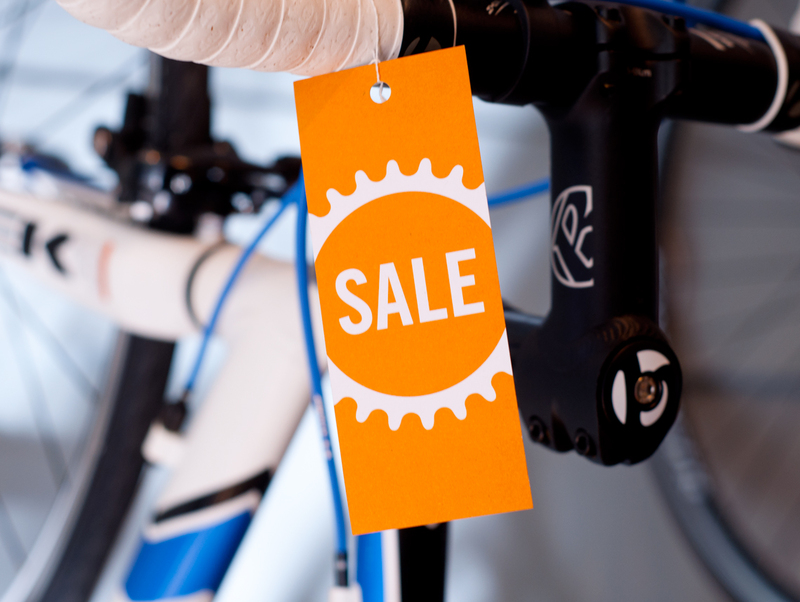 Swerve Bicycle Shop is a small, independently owned bicycle store located in downtown Oberlin, Ohio. 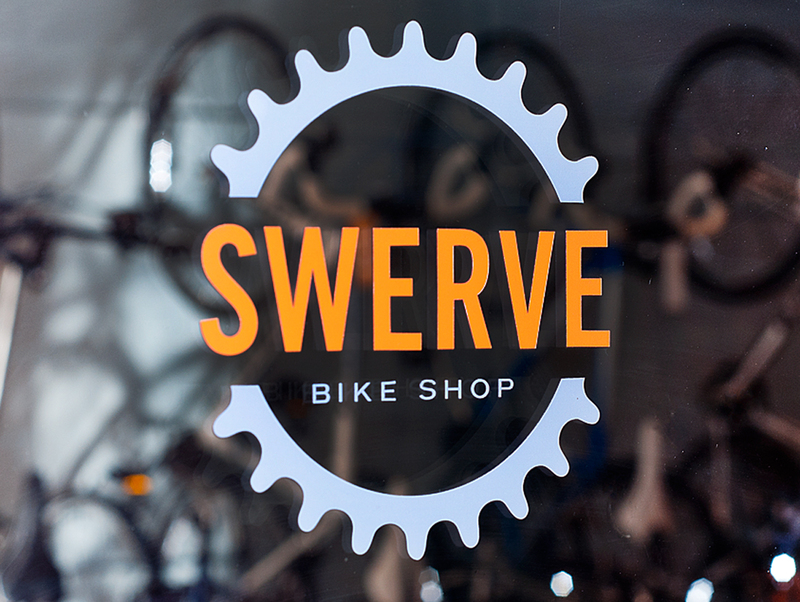 This small, independent bicycle shop was opened by Jason Adleman and Chris Robinson with the goal of providing bicycles to customers of all ages and experience levels in their community. 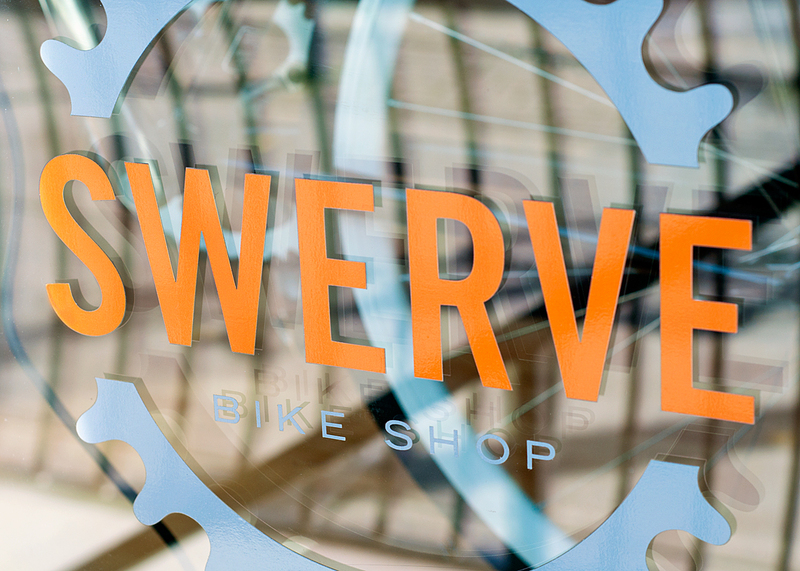 They came to Go Media looking for branding that was modern but still had a universal appeal. 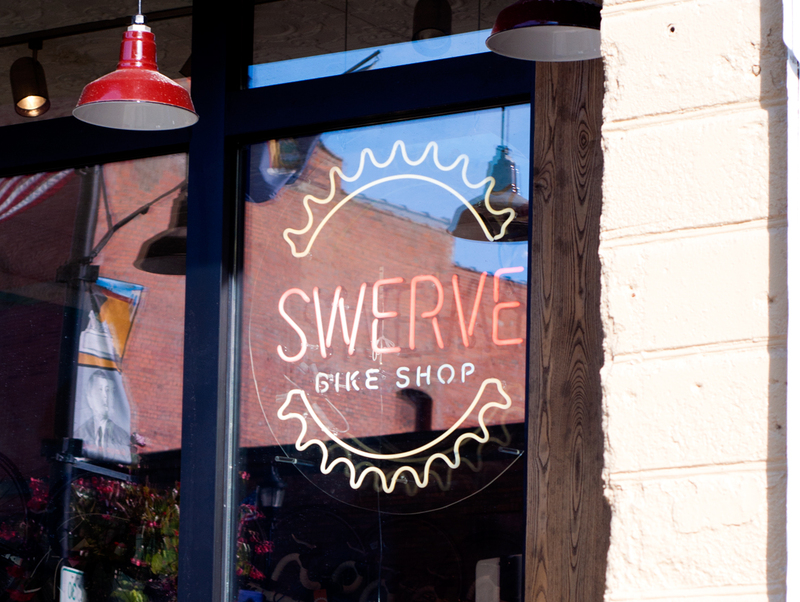 The resulting identity was applied to the storefront, sale and price tags, and a really great looking neon sign.